They will make your oven look like new and work a lot faster. The cleaning solutions and detergents we use are harmless for humans and pets, and provide excellent results for all models and brands ovens. Our cleaning technicians are fully vetted, insured and professionally trained. They can restore your oven to its initially clean and nice-looking condition. Use our numbers for contact to schedule the oven cleaning you need. Cleaners Highbury provides professional oven cleaning for domestic and commercial estates, located in Highbury. If you use our services, your oven will be rid of all the grease, stains, burnt food and carbon residue. Our cleaning technicians will take apart all removable components of your oven and take them away from your property to soak them in cleaning solution in their van. We use biodegradable detergents and solvents to soak and scrub all oven parts. They won’t cause any health problems to you or your pets. The oven door will be dismantled and its glass panels will be sanitized till they become flawless. All interior and exterior surfaces of your oven will be scrubbed and cleaned well. 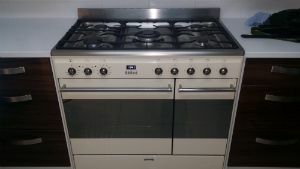 Use our inexpensive second to none oven cleaning services, provided in and near Highbury. Your oven can be rid of all the dirt, grease and carbon deposits fast and hassle-free by our qualified cleaning technicians. Your oven will heat up faster, if you provide its necessary regular and well cleaning. You can use our services for cleaning your oven in your home, restaurant or any other commercial property, located in Highbury. They can be booked by phone or through the online form in our website. 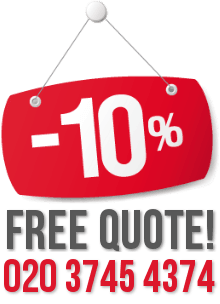 Call us now and book your services.